A morning of eyes, smiles and laughter! My youngest son is the hot-favourite with my partner’s grandchildren. So much so that they’ll eat whatever he eats, drink whatever he drinks, listen to the music he loves and ignore everyone else if he’s in the room. It has become a bit of a family joke. 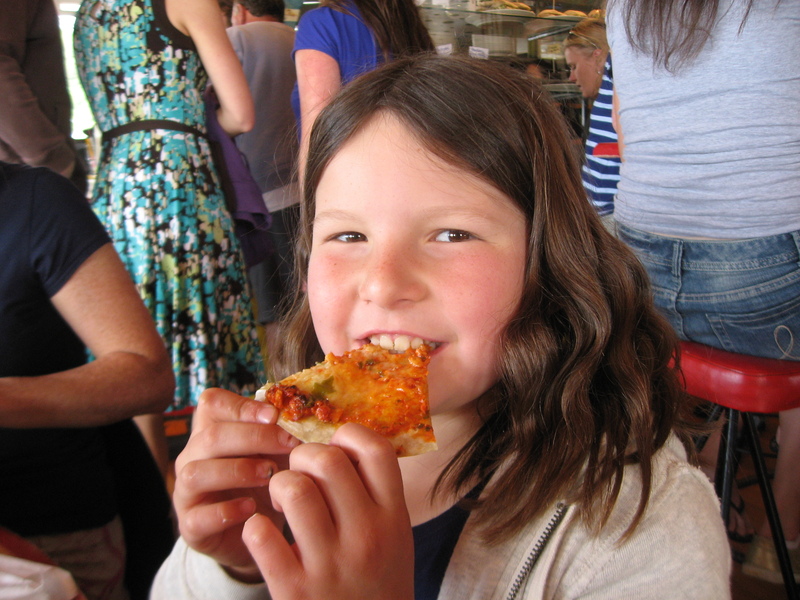 This morning while brunching at Maranui Cafe, with the stunning backdrop of surf in Lyall Bay, the kids asked me to photograph them devouring his favourite dish – quesadilla – for sending on to make him jealous. I think they’ll succeed. This entry was posted in Food, Photography, Uncategorized and tagged eyes, laughter, Lyall Bay, Maranui Cafe, quesadilla, smiles on January 22, 2012 by Rossi. Ever wonder where your smile comes from … or that of your children? I’ve spent considerable time recently looking examining and re-examining my daughter’s wedding photographs. I’ve loved every minute of it just like I did the wedding. I see links to our past in them. Everyone has always said I have my father’s ready smile. He had, and I have a tendency to smile at everything and at anyone – most of the time. But when I look at this picture taken in the early ’40s, I see my nephew. I do see my sons as well, but it’s my nephew I see first. I know I bear some sort of resemblance to my mother, our eyes are similar. What I didn’t realise and now do, because of all the photographs taken on what was one of the happiest days of our lives, is that my smile is also like hers. So is my daughter’s. I unearthed this delightful shot when searching through old photos at the request of my daughter who asked to have a old family wedding photographs (silver framed!) displayed at her wedding on a side table. 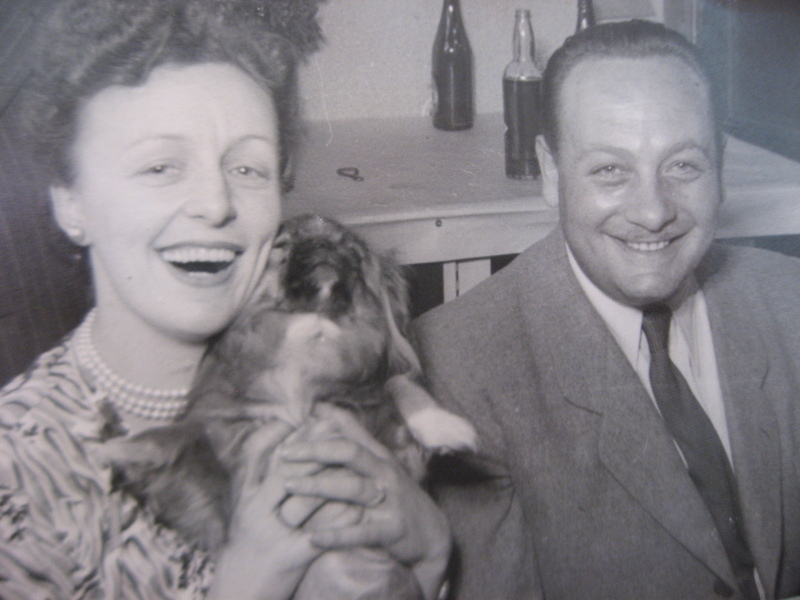 The only actual wedding photograph I found of my parents was tiny – I could barely recognise them. Then I found this one – I didn’t recall having seen it before. I instantly fell in love with it and felt it needed to be shared with our family and friends. They look so happy … it made me feel that they were with us. Smiles are the most welcoming gesture we have without actually touching a person. They bridge space between us. The instant a person smiles for you, you feel good, you feel warm, you feel liked – if you’re not already smiling, you smile back. This entry was posted in Design, Fashion, Photography and tagged gesture, happy, peonies, Rossi's photo challenge, smiles, wedding on January 17, 2012 by Rossi. Rossi’s fall-from daily photo challenge: Anyone for Basil? I started this year off in a hiss and a roar – for a few days anyway – my challenge being to everyday post eyes, smiles and laughter. I was back at my desk on the 4th and my challenge has proved harder than I anticipated. Not the least because we’ve been plagued with filthy weather – seemingly incessant rain and unbearable wind. Nobody smiles in the wind – except me today – it’s hard enough walking. I braved the elements this afternoon and decided to capture an image of my windswept face. I hadn’t reckoned on user-error with the camera. I had the dial set to ‘movie’ … far far too much information. The upside was that the walk blew out any cobwebs I had lurking … and although sporting a bit of windburn, I felt refreshed and invigorated. So instead, basil graces my page. A most beautiful fragrant herb undoubtedly my favourite. It’s the basil time of the year; I always try to keep a plant on my kitchen bench (Americans/Canadians: read ‘counter’). I love soaking in the delicious aroma … love using it in salads, love the bright green leaves, love their texture and love their flavour. My favourite dish with basil would have to be the very simple Insalata Caprese. Fresh tomatoes, mozzarella, basil and olive oil. What more do you need to make a delicious summer dish? 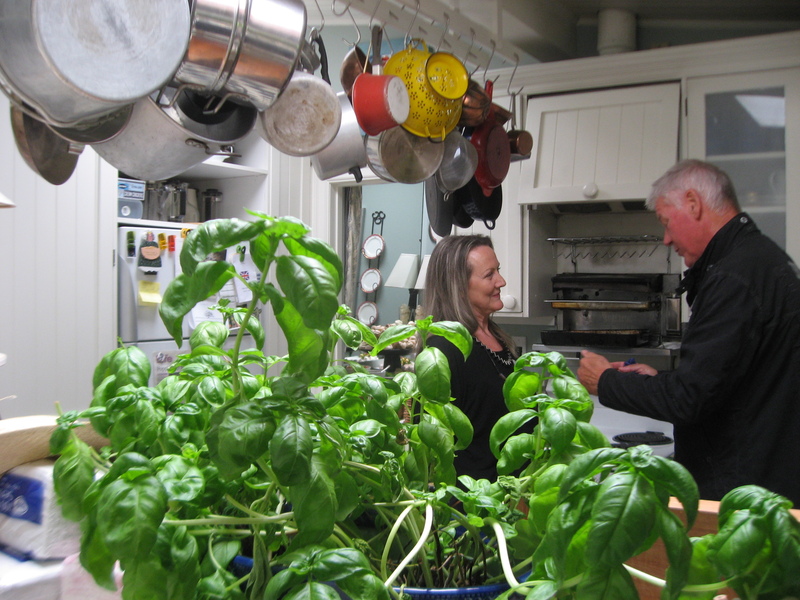 This is not my kitchen and not my basil. There’s a smile in the background and the promise of an enticing meal. This entry was posted in Design, Food and tagged basil, Insalata Caprese, rossi's daily photo challege, windswept on January 15, 2012 by Rossi. Rossi’s not-so-daily photo challenge: Betty Draper here we come!!! How many women are needed to hang out a sheet? I’ve recently become addicted to Mad Men … I missed the series when it screened, possibly because it coincided with rugby games! However I’m now in the act of catching up. We had such ghastly whether over the summer break that sitting down in front of the telly was not a choice – it was mandatory. What do I love about it? Well, I love the fashions … boy some those women really dressed with style. Slim fitting dresses, glamorous hair styles, gorgeous high heels and oh so perky breasts! How did they make them stay up like that??? I’ve finished series one, and am now waiting to borrow series two from a colleague. I wish she’d remember to bring it in for me … we’re in for another spate of wind and rain over the weekend – more Mad Men would be a welcome distraction. 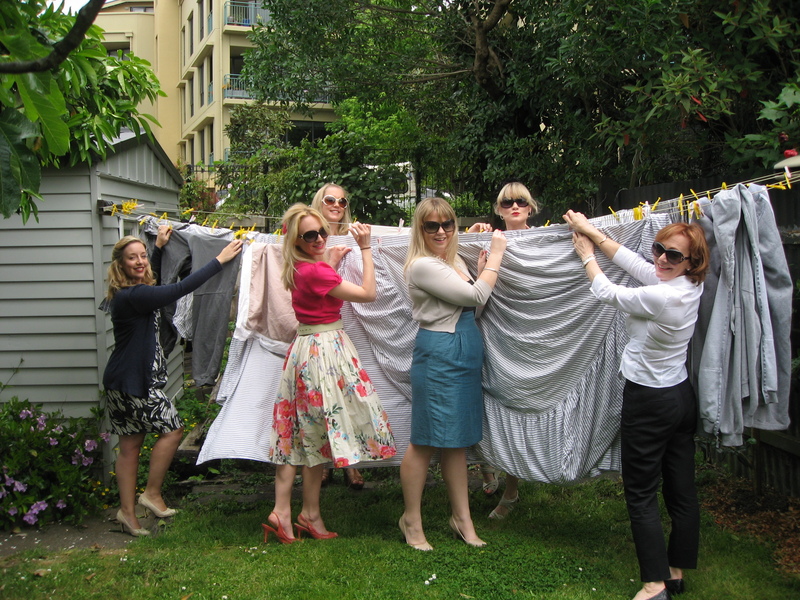 I think there’s a lot of Betty Draper in this pic (taken at my daughter’s hen party) … one must always dress well when hanging out the washing. I have an even better photo but will have to get permission before I share it with you. This entry was posted in Design, Fashion, Photography and tagged Betty Draper, hair dos, heels, hen party, Mad Men, smoking on January 12, 2012 by Rossi. I had a bit of an accident this morning – nothing serious mind you. We’ve had extremely heavy rain for the past two days resulting in lots of surface water. When I went outside this morning – in my bare feet – to put out the recycling, I slipped on the paving and gave my head rather a nasty crack. So for most of today I’ve been nursing a sore head with a bruise the size of a golf ball just over my hairline. I didn’t feel much like searching for subjects to snap, so have gone into my folders. In front of the cafe was a large natural amphitheatre and as we were leaving a guitarist had taken to the stage performing cruisey Sunday morning music. His voice was magic, the sound perfect for the setting. How I longed to lie on the lawn, hands behind my head and luxuriate in the day. Just thinking about it and looking at the photos has made me smile! Sheep may safely graze - or is that rams? 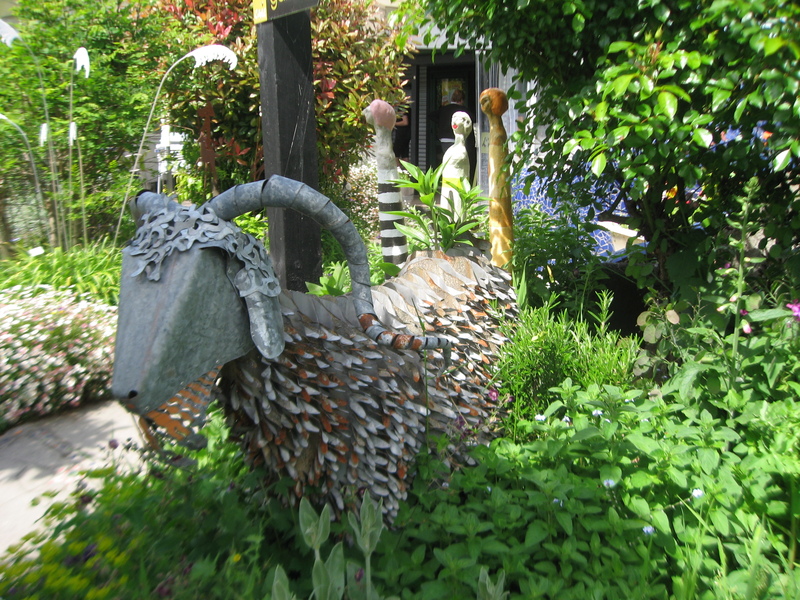 This entry was posted in Design, Photography, Travel, Uncategorized and tagged colourful garden, Gallery and Garden, L'Arte Cafe, mozaic tiles, quirky, sheep, Taupo on January 9, 2012 by Rossi. 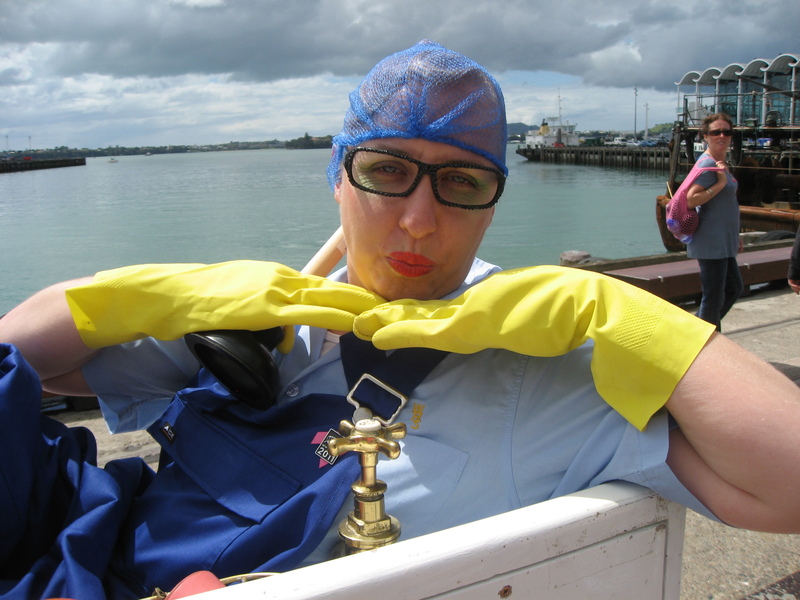 Put yourself in a bath-tub with a pair of rubber gloves, a touch of red lippy and a happy face – you can go anywhere! 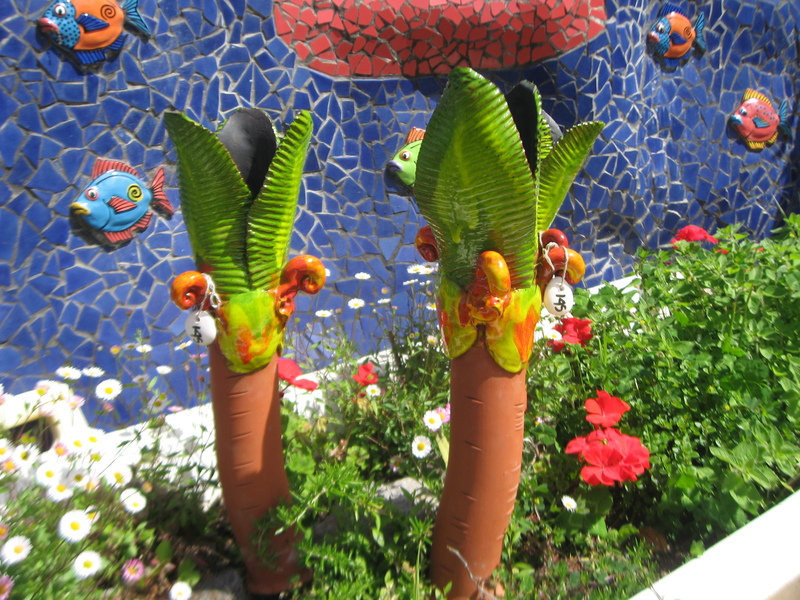 This entry was posted in Design, Photography and tagged bath-tup, bathing beauty, happy, rubber gloves on January 7, 2012 by Rossi. The game we were all going to was the semi-final between France and Wales. All being New Zealanders, we went equipped with red scarves in support of the Welsh team, while they opted for blue shirts for France. 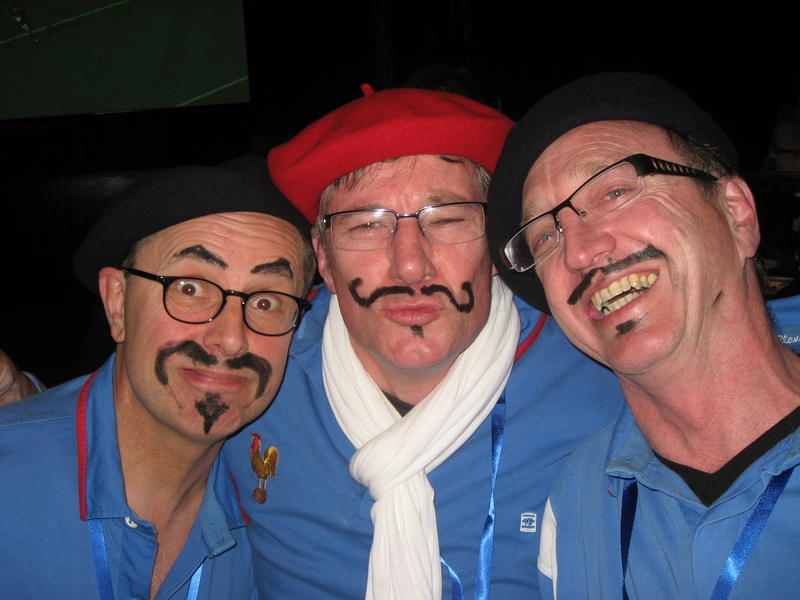 France won – needless to say they were overjoyed! Quite by chance they were sitting in front of us a week later during the final – where we were all in support of the All Blacks. I took another photograph of them there, wearing more sombre attire. It was a tense 80 minutes – we emerged smiling. Phew!!! This entry was posted in Memories, Photography and tagged All Blacks, France, laughter, moustaches, New Zealanders, Rugby World Cup, Wales on January 5, 2012 by Rossi.